This wine is a selection of our best from the great 2010 vintage, and it shows very rich ripe flavours typical of well-grown Shiraz. The wine was aged in new French oak hogsheads fro 26months, providing wonderful complexity and integration. Being a full bodied and richly structured wine, it will mature most gracefully for many years. This wine is typical of Cape d'Estaing Cabernet Sauvignon, being flavoursome and with great length, while still having elegance and refinement. It was held in very high quality French oak barrels for over 24 months, and this has produced a mature wine of great complexity. With good cellaring, this is a wine which will age gracefully for many years. This wine is typical of the established Cape d'Estaing style -- it is complex and rich, with beautifully integrated fruit and oak. It is a soft, warm mature wine which will cellar gracefully for many years. In 1993, four couples purchased a 200 hectare farm with the aim of establishing a vineyard capable of producing high quality grapes. Each person brings skills and ideas to the partnership, and participates in some way in the day-to-day running of the business (which now extends to wine production). Two couples reside on Kangaroo Island. The owners were: Graham and Jude Allison, Alan and Ann Byers, Wayne and Margaret Conaghty, Robin and Heather Moody. Chief winemaker Rob Moody brought his 40 years winemaking experience into our wine. He was employed at Penfold’s by Max Schubert, the ‘father’ of Penfolds Grange, when Penfolds was still a family owned company and continued working on iconic South Australian wines at Penfolds and Wynns until 2001. Our philosophy is to have super premium red wines of exceptional distinction with grapes grown in its region.We have a very strong belief that low yields produce the best wines. We are very careful to slow the growth of the vine between flowering/fruit set and veraison. This produces desirably small berries with very high skin area to juice ratio. 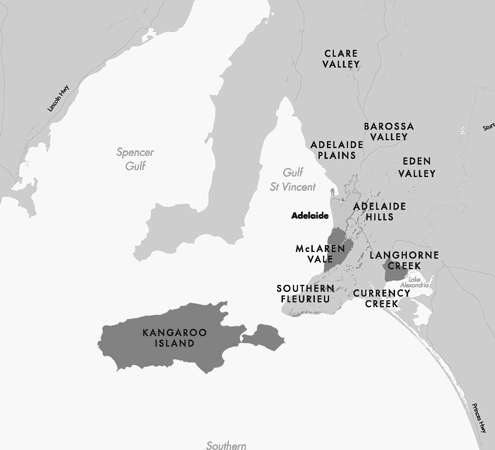 After the devistating bush fire in 2009, we exopended our vinyard to renowned mainland wine region McLaren Vale, where we make our wines now. The grapes are sent winery immediately after picking, and are processed at McLaren Vale. After about a week in stainless steel fermenters, the wine is transferred to oak hogsheads or barriques for the completion of fermentation. We use oak supplied by various manufacturers in order to achieve maximum flexibility and complexity in the blending programme. Ultra-premium producers such as Seguin Moreau, François Frères, Sirugue, Remond, Billon and Radoux are all used by Cape d’Estaing. Most of the oak is French, but we very much like the added lift provided by good American oak – especially for our shiraz. We use about 70% new barrels each year, with 30% of the blends being aged in once or twice-used barrels. Wines are racked at least four times during their maturation, and this helps to increase complexity and to soften and round off any of the harder tannins. Mike is Winemaking graduate of world renowned Roseworthy College in South Australia he began his winemaking career at Angoves Winery. During this time he was involved in both laboratory and Winemaking, including spirits and fortified wines. He then spent 13 years at Southcorp Wine Group where he had a long involvement with Seaview, Penfolds, Wynn’s Coonawarra, Lindemans, Seppelts, Coldstream Hills, Tollana and many others, the last 6 years as Group Red Winemaker, overseeing the production and styles of Southcorp’s massive red wine portfolio across Australia, France and California. His wine credits include winning two Jimmy Watson Trophies, making Penfolds Grange, St Henri, Bin 707, Bin 389, Dorrien Cabernet, Lindemans St George and much more. 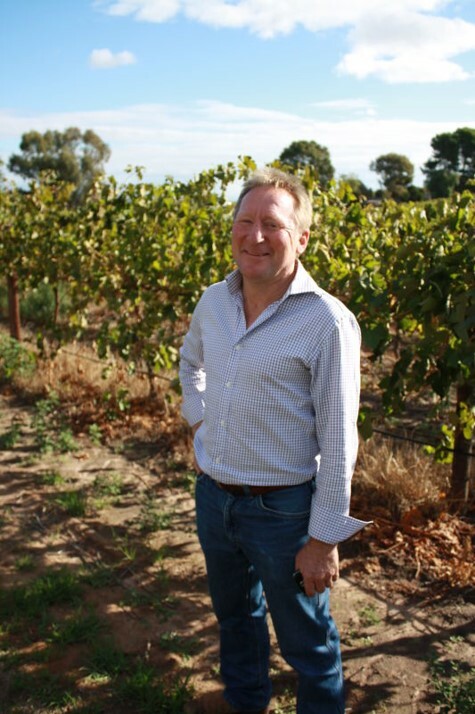 Mike left Southcorp to pursue his own venture and to help establish Boar’s Rock Winery in McLaren Vale, South Australia in 1997. He was a founding shareholder and Principal Winemaker with Boar’s Rock, a contract processing, winemaking and storage facility that expanded and operated wineries in McLaren Vale (South Australia), Margaret River (Western Australia) and Riverland (South Australia). Mike has always been involved in the Australian Wine Show system, judging at the Melbourne, Rutherglen, McLaren Vale, Barossa, Clare, Langhorne Creek and Riverland Wine Shows over the years. He is currently Chairman of Judges at the Australian Small Winemakers Wine Show, and Deputy Chair of the Adelaide Wine Show Committee. Through his long experience in the Wine Industry and in particular in the South Australian Regions, Mike has a great knowledge of wine and is particularly enthusiastic about the great wines that come out of McLaren Vale. The sea has a strong moderating effect on the climate. Temperatures rarely exceed 30°C. 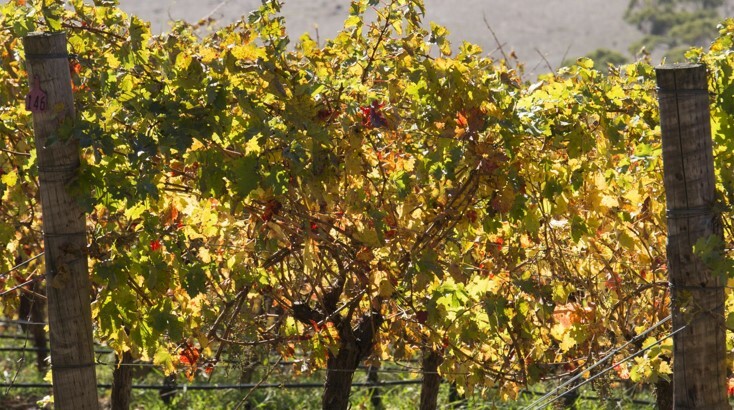 It is the hot north winds which usually cause very high temperatures in South Australia and, at our vineyard, these come straight off the sea and hence are much cooler than in the Barossa or McLaren Vale, for example.This absence of extreme high temperatures plays its part in preserving flavour compounds in the fruit, and because maximum colour development in the skins occurs at temperatures around 25°C, it also helps us to produce fruit with intense colour. Only 45 minutes south of Adelaide in South Australia, McLaren Vale is home to sustainable winegrowing, world-class wines and culinary experiences.South Australia's viticultural origins began in McLaren Vale and region's Mediterranean climate continues to drive its wine style and diverse food culture.